The primary duty of care under the WHS Act is owed by a PCBU to a ‘Worker’. The term ‘Worker’ specifically includes a labour hire worker who has been assigned by one PCBU to work for another. If your business contracts labour hire workers (Host PCBU) or is an agency which provides services of labour hire workers (Labour Hire PCBU), the WHS Act sets out your specific health and safety obligations. Both the Host PCBU and the Labour Hire PCBU have individual and shared duties aimed at better protecting the labour hire worker. The duty is to ensure, so far as is reasonably practicable, the health and safety of labour hire workers engaged by, or whose activities are influenced or directed by the PCBU. As a host PBCU, you have the same health and safety duties to labour hire workers as you do to directly engaged or employed workers. It is your duty to ensure, so far as is reasonably practicable, the health and safety of all workers while at work. This duty requires you to eliminate or, if that is not reasonably practicable, to minimise risks to health and safety. – – Any skills and knowledge required to safely undertake the work required. – Maintain open communication and consultation methods with the labour hire PCBU and the labour hire worker in relation to health and safety matters. This should include establishing relevant points of contact for health and safety between the organisations as well as agreed means and frequency of communication. – Provide labour hire workers with a site specific safety induction which would outline specific work health and safety duties they are to comply with, workplace policies and procedures, safe work practices, training requirements etc. As a labour hire PBCU, it is your duty to ensure, so far as is reasonably practicable, the health and safety of workers during their placement with a host PCBU. It is your duty to eliminate or, if that is not reasonably practicable, minimise risks to health and safety a labour hire worker may encounter. In some circumstances, this might mean not placing workers in a workplace while you believe there is a risk to their health and safety or where risks have not been adequately controlled. – Establish communication methods so workers can use to contact you if they consider there is any risk to their health or safety or if the worker is unsatisfied with the host PCBU’s response to a safety concern. – Ensure that you have a documented system in place for the management of work health and safety including trained staff. – Consult with the host PCBU and labour hire workers on any changes which may affect their health and safety. – Encourage workers to maintain contact with you and to provide feedback on health and safety matters in the host workplace. 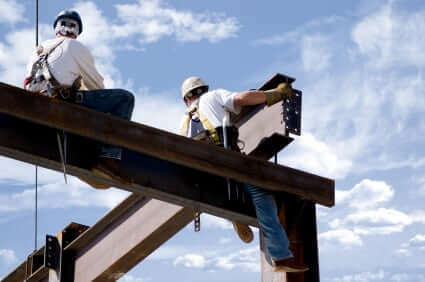 Whether your business contracts labour hire workers (Host PCBU) or is an agency which provides services of labour hire workers (Labour Hire PCBU), you should ensure your workers are aware of their duties, and highlight the duties which are shared between the host PCBU and the labour hire PCBU, and those that are not. All workers have the same right to expect a safe workplace.